The Brisbane Development Association are preparing to hold a breakfast event for members and guests on the topic of creating more open space and public amenity in and around Brisbane. The event, sponsored by Cox architecture, is expected to contain a presentation and host a Q&A that will help to answer the question, 'are our public spaces paved in gold?' and will will explore how we calculate the value of public spaces in Brisbane, explore the status quo and how we can plan for a better future. The BDA's keynote speaker will be will feature Queensland Government Architect Malcolm Middleton OAM, who will discuss the opportunities for urban spaces in the greater Brisbane area and provide an update on the State Government's public commitment to better urban spaces. 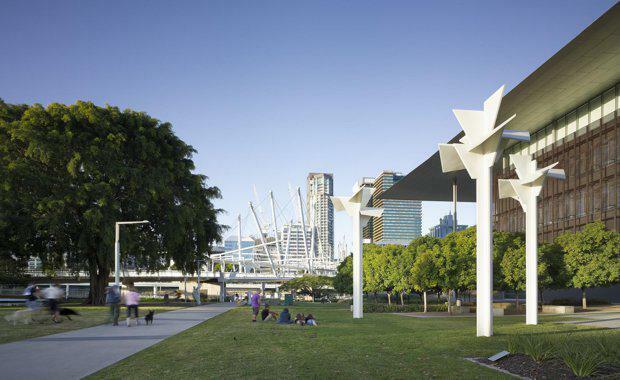 According to BDA, Trip Advisor revealed that of the top 25 things to do in Brisbane, 80% are civic places near the CBD that feature an urban park, and two thirds have a strong proximity to the Brisbane River near the CBD. With an all-time record of 1.2 million international tourists visiting Brisbane in 2016, and new transformation projects including Cross River Rail and Queens Wharf, the city is poised for massive growth. BDA will ask how will our public spaces cope with the growing tourism and development, and is the industry creating places people want to stay and visit? Are Our Public Spaces Paved In Gold? was been inspired by past BDA events exploring the value of Brisbane's trees and Art in the City, and will continue the discussion about good design and planning for public spaces.